How Much Does Google Street View Cost? Home/FAQs/How Much Does Google Street View Cost? Say hello to your best marketing investment. Google Business View is your only set-it-and-forget-it marketing piece, with no monthly, yearly, or other recurring fees. Google Street View Virtual Tour and panoramic photo editing using Google Maps technology. We offer excellent discounted rates if we can shoot you and a neighbor on the same day. Get them to do the tour and you both save. 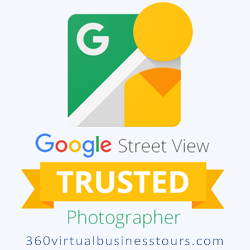 Please Note: Google Street View can only be conducted by a “Google Trusted Photographer” who is trained, certified and endorsed by Google. 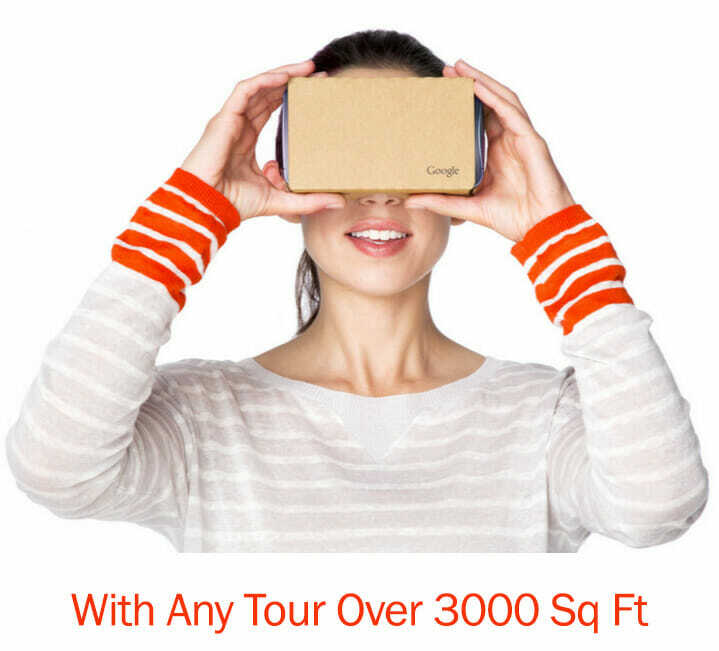 Google has now made it possible for “anyone” with a 360 camera to shoot your virtual tour. Years ago, you had to go through a very stringent certification process which assured quality work from every Google Street View photographer. This unfortunately has opened up the floodgates for any amateur looking to make a few extra bucks from a cheap 360 camera they acquired. Why Did Google Change the Rules? Google is an ever-evolving ecosystem. One that is constantly in testing mode to see what sticks and what doesn’t. Their ultimate goal is to get everyone on the planet using their platform, even on a social media level. 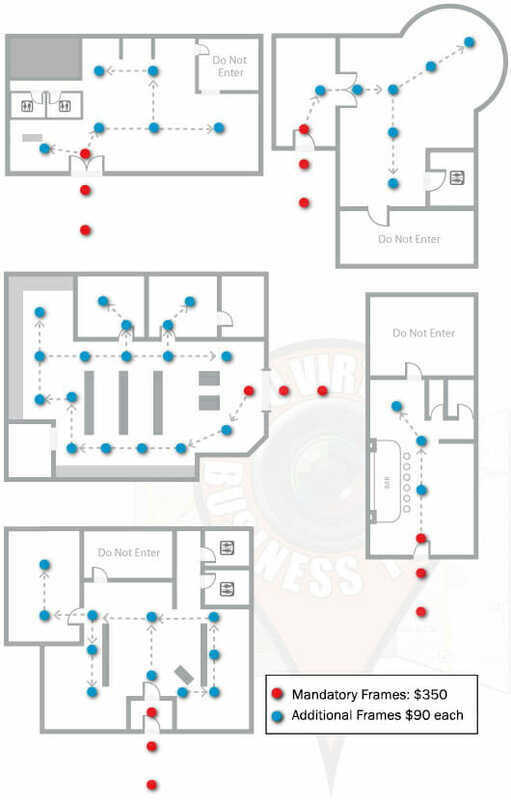 Allowing “anyone” to shoot a virtual tour and upload it to any business means that more people are using Google, even at the cost of poorly developed material. This sacrifice they are willing to let go in exchange for more usage from the masses. A lot of professional photographers who went through the process of getting “Street View Certified” were left feeling a little unappreciated after Google changed the rules. Others rolled with the punches and adjusted, ourselves included. This no longer matters as these images are easily made available by just doing a Google search. So the badge is worthless. We like to display ours because we have actually went through the certification process many years ago and we could be found on the “Hire a trusted pro” website to prove it. Not doing your homework could result in a very poorly shot virtual tour. One that is distorted, pixelated, has poor lighting, is choppy, or unprofessional looking. Business owners are usually lured in by the insanely cheap price they are given by these amateur photographers. Remember, if it sounds too good to be true, think again. The worst part is that because the tour was so poorly developed, business owners will end up spending money on a second, more professional virtual tour. So they end up paying more in the end for going with a cheap “freelance” photographer. Read our article on 4 things to ask your virtual tour photographer before hiring or contact us if you’re having trouble deciding on who to hire. We service the entire Mountain View, California area!